Oddly enough, the article completely ignores the fact that the attack on us as developed by the United States focused on what were seen as inadequacies precisely with regard to what Tamara and Dayan also noted. Their commitment to a pluralistic society with greater attention to Human Rights has never been questioned. It should also be noted that they have both consistently stressed the need for both Reconciliation and truth telling. It was not they who attacked me when, three years ago, I noted that there had been civilian casualties, a position about which supposedly more ‘liberal democratic’ colleagues were in a state of denial. What this latest policy statement of the Ministry of External Affairs suggests is that its denizens have no understanding at all of foreign policy. The West basically has three reasons for its continuing assaults on us over the last few years. The first and the one publicly proclaimed was the argument that Sri Lanka was violating Human Rights consistently, and this had to be prevented. The second was the pressure applied by the diaspora, which exercises a disproportionate amount of influence on some government. Finally there was the desire to bring Sri Lanka into its sphere of influence, and in particular prevent China from gaining a strong foothold here. The Ministry of External Affairs did nothing to promote Human Rights when that subject was entrusted to it. The communications of the Office of the High Commissioner for Human Rights were ignored, whereas when Dayan was in Geneva and I was Secretary of the Ministry of Human Rights, when we had one, we made sure that all letters were answered promptly. My staff at the time, some of whom had been absorbed by the Ministry, were badly treated, and it was only because the then Attorney General and I pushed hard that we managed to produce the National Action Plan on Human Rights that Cabinet finally adopted. Similarly, with regard to the second reason for Western pressures, while I believe that some elements in the diaspora are still committed to the LTTE agenda, the vast moderate majority were ignored, which is why many of them have now gone back to supporting extremism. Efforts to engage were minimal. It was only because of the efforts of our Honorary Consul in New Zealand that arrangements were made for me to meet diaspora groups in Australia and New Zealand , and the question they put was, why had this not been done before? Later, because of the indefatigable efforts of our Deputy High Commissioner in London , and later the current High Commissioner, similar arrangements were made there for wide ranging discussions with the diaspora, along with media interactions. In Chennai too, through the excellent connections established by our Deputy High Commissioner there, a Tamil who has now been prematurely transferred, I met several opinion makers who indicated that this should have been done earlier. I am sure there were other examples of this, though my interlocutors were of the view that actual discussion and efforts to explain points of potential difficulty had not occurred before. But my point is that there should have been a systematic programme of engagement, and the failure of the Ministry to have suggested something of the sort and planned programmes was a pity. Indeed it was left to positive thinking NGOs such as International Alert to arrange tours for bright young Members of Parliament , to engage with the diaspora and British Members of Parliament. The MPs who went were unanimous in defending Sri Lanka even while disagreeing on other matters, which was certainly food for thought for those in the diaspora who believe that the government’s actions in getting rid of terrorism are deplored by all those not in government. Thus what I believe we should be dealing with rationally, the call for a better Human Rights dispensation and reducing the pressures from the diaspora (including through political reconciliation in Sri Lanka ) are ignored, and instead what is advocated is total adherence to Western judgments and contempt for countries such as Cuba and Venezuela – and implicitly China . S W R D Bandaranaike would be turning in his grave, as would his widow, and Lakshman Kadirgamar, while I have no doubt that the effects of this type of policy reversal would be to drive the present President to an early political grave. The first was the publicizing of the claim that India had committed to supporting us, which led to massive pressures in Tamilnadu. The second was the denigration of Tamilnadu politicians, which naturally increased the pressures on the Centre to stand by its own. These pronouncements may well have been blunders, but it would make sense for the Ministry to check on whether anyone were consulted before they were made. I should add that I do not think those who made the statements did so with deliberate intent to upset India , but that there are others with such an agenda is now manifest. The clear proof that there is a deliberate effort to drive a wedge between India and Sri Lanka – and thus make us more dependent on the confrontationalists of the West, who want India also in the same boat – was the effort to deceive the President about the Indian Parliamentary delegation. A deliberate lie, which his more responsible Ministers had to refute, was told him, which nearly led to the cancellation of his meeting with the Indian delegation. Worse, he was also deceived about senior SLFP Ministers, which I believe is designed to cut him away from his natural base. For what the article inspired by the extremists of the Ministry ignores is that it is the SLFP that represents liberal democracy in Sri Lanka , in accordance with the vision of its founder. He rejected the urban capitalism of the UNP, but equally he rejected the doctrinaire socialism of the Marxist parties. He was like Nehru in this effort to follow a centrist path, but later, their successors, who were both rejected by the West which wanted total adherence or nothing, moved closer to the socialists in the oppositional international politics that the Cold War engendered. However, it should be noted that the basic principle of Non-Alignment, which also involved building close ties with those Asian countries that were not involved in Western military alliances, had also been the policy of the UNP under Dudley Senanayake. He too used brilliant minds such as Shirley Amerasinghe and Neville Kanakaratne, from outside the foreign service, and also Gamini Corea, to assert an independent perspective. These individuals, like Dayan and Tamara, believed in pluralism and human rights, but not because these were Western values (which indeed in those days they were emphatically not). It was only when J R Jayewardene replaced Senanayake as the leader of the UNP that a different policy, going against the national consensus, was established, and as we know this involved dismissing both Neville Kanakaratne and Shirley Amerasinghe from their positions. The disasters of the slavish adherence to the West that followed, which included hostility towards India in those days, are well known. Fortunately Jayewardene’s efforts to invoke Western military aid against the Indians proved abortive – though my contacts in the British Ministry of Defence told me that Mrs Thatcher had wanted to comply, until the Foreign Office had dissuaded her. 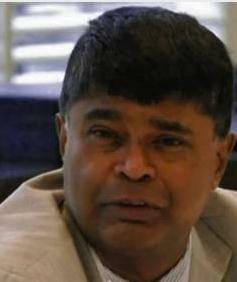 Despite his initial anti-Indian rhetoric when Jayewardene’s foreign policy was proved a failure in 1987, Premadasa as President also soon saw the light, and used the services of Neville Kanakaratne to rebuild relations with India. However, though the Jayewardene excesses were avoided, following the end of the Cold War, there were those in our Foreign Ministry who thought that we had to accept Western models wholesale in a unipolar world. But Mr Kadirgamar had a very different vision and, though at times he found the Ministry more conservative, he revived commitment to the Non-Aligned ideals of the party he had joined. This did not mean anti-Western socialism, as had happened in the seventies when confrontation was the order of the day. Rather, it meant picking what was best from all models. The West certainly has much to offer, and I believe we should work together with idealists there, as opposed to practitioners of ruthless self interest, to promote pluralism and Human Rights. But we should also – and how can the President not do this, given his whole political history? – follow other models with regard to ensuring better social indicators, promoting equitable development and above all strengthening regional groupings. I do not know if the groupies who now run policy at the Ministry of External Affairs will understand all this, or even bother to try to do so. I don’t think it occurs to them that we have a duty to the Sri Lankan people to move swiftly towards political reform that will empower all our people and facilitate equitable development with input from relevant stakeholders. I don’t think it occurs to them that we have a duty to the Sri Lankan people to ensure that their Rights are preserved and advanced. And I don’t think it occurs to them that we have a duty to the Sri Lankan people to preserve our sovereignty and make sure that we do not become a tool for confrontational agendas. That was what was planned in the eighties, when the enemy of the West was India , and India intervened to prevent misuse of Trincomalee and Iranawila, as the Annexe to the Indo-Lankan Accord makes clear. I hope similar bases are not contemplated now, in theory against China , but possibly to be used against India too in time if India develops into a respected and independent leader of the Third World as Nehru dreamed. But while I hope such stratagems are not needed in the world of modern technology, we owe it to our people to ensure that this land is not used for hostile moves against any other countries by anyone, Western or Eastern or in between. Improving relations with the West should be on the basis of principles that we share, and Dayan and Tamara share those principles and have the courage to say so unlike others who believe their political careers might be blighted if they open their mouths. And so, given the silence of these lambs, we have a situation where we simply react to crisis after crisis, with no effort to develop principled approaches to the world or to our own political difficulties. well said prof.Rajiv Wijesinghe, you desrve to be the presidential adviser on foeign fairs and not Vaas G.who is making an unsuccessful attempt to get in to the boots of Dr.Dayan or Prof.Peiris he certainly cannot match their interlectual prudence. A perfect example of pot calling the kettle black! Western diplomats will put his own words saying, Prof. Wijesinha agrees that violations certainly occur. So it is agreed that violations of human rights happen in Sri Lanka. So the author is indirectly saying Sri Lanka is under dictatorship? Due to the stupidity of bureaucrats in our foreign services, who’s only goal is to kick out the best & the brightest (such as Dr. D. Jayathilaka, Ms.T. Kunanayakam..etc..) who serves our country well, so the unprofessional thief’s could carry out their behind the science work without any hindrance, Sri Lanka is going to get in to a big mess sooner or later. It would be the duty of the president to kick out these idiots who talks through their “rear side”& gives the key positions in our foreign ministry to the professionals who actually “knows what they are doing”!!!! Dear Rajiva, this is a problem in all sectors of governance under the Rajapakse Bros. who themselves have little education and expertise among them – just 1 miserable, questionable, basic degree from law college among the three of them – Mahinda, Basil and Gota! The latter two, Basil and Gota have no tertiary or higher education to speak of! So the lack of expertise and politicization is a problem across the board. Please also write something about the education debacle! The appointees of the Rajapakse regime in all sectors starting with the the Minister of Higher Education, S B Dissanaiyake, and the Minister of Education, Bandulla the clown are a disgrace. These to so-called education Ministers are an insult to teachers, academics and researches in the country and who should have been forced to resign years ago! Rajiva, your hero Mahinda Rajapkse is responsible for the appalling state of the Foreign, Education and Higher Education Ministries having politicized and militarized them to the hilt. The politicization and lack of expertise is also visible at the central bank and in the national banking sector where those responsible of economic crime and financial negligence must made ACCOUNTABLE as with the NSB. In Iceland the former Prime Minister was taken to court and found Guilty of Financial negligence leading to the collapse of the Banking Sector, depreciation and economic crisis Iceland faced two years ago. Likewise, Nivard Cabraal at the Central bank, who unlike his boss MR does not have Presidential immunity, must be held accountable for negligence and waste of public funds for the Hambantota Commonwelath Games Bid scam where billions were spent on the project which would have bankrupt the country if the bid had won since Lanka would have had to build a white elephant games village in Hambantota – a town of 300,000 people which does not need such infrastructure. India had and built its commonwealth games village in New Delhi a city of 15 million where the infrastructure is now use. The media must expose this case of the Commonwealth Games Bid scam by the governor of the Central Bank who is also responsible for the crashing rupee and encouraging state banks to take unnecessary risk by issuing bonds to pay back Govt borrowings. Cabraals profligacy has put the entire banking sector at risk and he must be held accountable before it is too late. If Kariyawasam does not resign the NSB Unions should take legal action and file a case. of course his wife is the Chief Justice and this will require that she resign too. Finally, please don’t grand standing against the West using out dated post-colonial rhetoric that your friend Dayan uses. It is outdated rhetoric because the new front of post-colonial studies is about internal colonialism – i.e. colonization by majority communities of minority and adivasi lands in Asia, Africa and Sud America in countries that got independence from the west over 50 years ago where “new wars” for minority rights against colonizing majoritarian States have broken out – as in Sri Lanka where the northeast was is under military occupation and colonization by the rajapakse regime – an I am not an LTTE supporter at all! According to Colombo DPL circles, one of the reasons for the recent changes was to accommodate a so called “Career Officer” serving as a Deputy in a European station in a Head of Mission/Ambassador post. This person was unceremoniously kicked out of an English speaking Capital city on account for some “nefarious dealings” just months earlier by another fast emerging “Non career” Head of Mission. As reported in a leading Sunday newspaper, the ousted Deputy somehow managed to leave behind his family (at government expense) in the English speaking Capital before moving out to his assigned station. Rules of the so called Career Service were bent for this individual like a football kick! From the moment he landed in the new station in a historic city, he used the ethnic and another IOU card to beg for a post of Ambassador in the West! This man is now identified as one of the co-conspirators in the move by External Affairs cabal to oust efficient Non career Heads of mission. I agree with Dinuk, what more can you expect from a bunch of uneducated rascals albeit they hold honourary doctorates gifted to them by UOC. They are not comfortable with the likes of Dr RW, Prof GLP, Dr DJ but quite at home with scoundrels like Sajin Vas, Mervin Silva, Duminda Silva, Weerawansa etc who emphathise with them at the same level. Take the case of J P Morgan where the CEO as resigned and our own CEO of NSB who says only the President can remove him. Todays news that Rs 300 Mn from state banks written off is due from VIP Rice millers. State of the nation. we can spot these fakes easily. Hmm, one seems to get a distinct whiff of a category error here. As a result, the comments to the article ignorethe main issue. Diplomatic incompetence entails governmental incompetence in general, but the reverse implication does not entail. Ceylonese government may be grossly inadequate in many areas, (and it does), but may still be able to carry out its diplomatic activities with a certain aplomb, provided that it has the know-how. This know-how consists of two parts. First, what other countries profess to value, and what is actually happening there as well as in one’s own country. Secondly, the diplomatic skill to reconcile a value a foreign negociator champions with its current status in one’s own land. Both are talking about something on paper, whose existence in reality is different in degree. Diplomacy concerning human rights and such popular platitudes is nothing but this. One country’s ardour for human rights in another can be miraculously cooled by some trivial thing like a promise not to sell Uranium to china as the riches of mobutu illustrate. Real world is increasingly under the control of tradesmen, who finance their own posing apes whom the gullible vote to office. Strangely enough, Sunday Times Lanka supported the removal of Tamara from Geneva. It says the President has taken the decision and is aware of the happenings. Sunday Times like Rajiva or Dayan does not blame Mahinda and his innercircle but every fault is put on the head of GL Peiris. The poor man has to do a lot lies when he goes around the world to hide all the wrongdoings of Mahinda. When our leaders pretend to follow the democratic will of the Sri Lankans, it is like the tail wagging the dog. We never had true LEADERSHIP. Our politicians exploited the myopic view of the masses to capture and cling on to power. Unless we recognise and elect a true Nationalistic Leader, Sri Lanka is doomed to fail and desrve to fail. He’s getting carried away impressing people with his knowledge of long words…. reading this article was neither easy, pleasant or fun. After finally understanding what the heck he was trying to say, I’m left with a question for the professor : so what sir, will you be doing about this? This enlightment of Rajiva looks like after the horse has bolted he is trying to close the stable door. Still his un diplomatic individual personal attack against some of the wesern politicians and the reactions he received reminds me how bad mouthed selfish Proff is Rajiva. Rajiva simply cannot be a diplomat or foreign minister however much he yearns to be one, since he has a very abrasive personality and does not know the first thing about LISTENING to other people! He also, like Dayan distorts truth and uses the rhetoric post-colonial victimhood to cover up the Rajapakse regimes mountain of crimes. Like Gota and Basil who would be currently unemployed if they were not the siblings of MR since they really do not have much education or refinement but are like bulls charging around a China shop with their MILITARY BUSINESSES in post-war Sri Lanka that enables them and their cronies to loot the country while the going is good, Rajiva would also be out of job were it not for the fact that this regime needs a few PhDs to cover its huge education, culture and brains deficit! wow rajeeva. all this mud. WHERE IS THE FOREIGN POLICY PART? Your argument? muuuud sliing huh? back to STC HAPPY LAND HAPPY LAND!!!! Dear Prof. RW, the point you put forward is well said and well agreed to me who are engaging with the task of executing the so-called Foreign relation of Sri Lanka for decades..!, To my knowledge, there is no Foreign Policy suitable to our existing situation or to the current world scenario at all. We won the war domestically, but loosing internationally, much more dangerously, in each and every front..! . The point where I disagree with you is that you blamed and put all the responsibilities of our recent Foreign Policy Blunders on account of the so-called Career Foreign Service. Dear Professor, I am not a fan of Sri Lanka Foreign Service nor its advocate, but solemnly believe the advantage of Professionalism. The Professionalism is a absolute zero factor not only in the Foreign service, but also in many other similar areas in SL these days, health, law, education etc,. and also in your current so -called profession, “ GOVERNANCE” . Do you think that is there a space to exist a professional Foreign Service today..!!!? No Foreign Policy decision is taken at the Foreign Ministry and its senior officials are not consulted when taking any major Foreign Policy decisions. Duties of the existing Ministry whales are limited just to execute ,without questioning, instructions coming from the TOP, through the mouths of so many of So-called foreign policy experts. If anyone dear to question, he/she should be ready to pay back with grave consequences. If you go and see the day to day activities of the Foreign Ministry today, you will understand that people just come and do something just like machines and go home. There are no proper training and development for the junior or Middle level officers. Lack of Human resources has prompted the existing staff at the Ministry to work like Bulls. They have been taught the notion that “your job can be done by any dam Bull, so be careful and don’t try to show your colours..! !” The back-born of the professionalism has been destroyed. Professionalism of our Career Foreign Service has gone down more that to the level of Bangladesh or Maldivians – not an insult to them-. If the Government does not need the professional foreign service, it should have been dismantled and should run the Foreign policy through its so called experts like today and then it cant blame the foreign service when blunders are made. – like what Prof. RW is doing today. It is the RESPONSIBILITY of the Professor’s Government to bring back the Professionalism to the Foreign Ministry or to the Legal, education and many other similar sectors in Sri Lanka today. The leadership should come back from the Government itself. Dear professor , I respect you very much and agree with you in most cases, but see the reality when it come to Professionalism and its value to the country at this crucial juncture and do something instead of cursing around and writing articles using your posh English. No Foreign Policy decision is taken at the Foreign Ministry and its senior officials are not consulted when taking any major Foreign Policy decisions. Duties of the existing Ministry men and women are limited just to execute ,without questioning, instructions coming from the TOP, through the mouths of so many of So-called foreign policy experts. If anyone dear to question, he/she should be ready to pay back with grave consequences. If you go and see the day to day activities of the Foreign Ministry today, you will understand that people just come and do something just like machines and go home. There are no proper training and development for the junior or Middle level officers. Lack of Human resources has prompted the existing staff at the Ministry to work like Bulls. They have been taught the notion that “your job can be done by any dam Bull, so be careful and don’t try to show your colours..! !” The back-born of the professionalism has been destroyed. Professionalism of our Career Foreign Service has gone down more that to the level of Bangladesh or Maldivians – not an insult to them-. If the Government does not need the professional foreign service, it should have been dismantled and should run the Foreign policy through its so called experts like today and then it cant blame the foreign service when blunders are made. – like what Prof. RW is doing today. It is the RESPONSIBILITY of the Professor’s Government to bring back the Professionalism to the Foreign Ministry or to the Legal, education and many other similar sectors in Sri Lanka today. The leadership should come back from the Government itself. Dear professor , I respect you very much and agree with you in most cases, but see the reality when it come to Professionalism and its value to the country at this crucial juncture and do something instead of cursing around and writing articles using your posh English. Dinuk ,never seen any of your postive commetns on SL affairs regardless of the subject or outcome. ” Like Gota and Basil who would be currently unemployed if they were not the siblings of MR”. . yeah, they may not qualified upto your standards … but they delivered results to masses . perhaps you wouldn’t be able to use the the term “postwar Sri Lanka” without their gallant efforts to finshed the war atleast.